Caves Campanet (Coves de Campanet / Cuevas de Campanet), also known as the Caves So na Pacs are limestone caves north of the island of Mallorca in the Serra de Tramuntana. They are among the smallest and least known caves in Majorca, but those whose visit is very nice, because they are not invaded by hordes of tourists and is located in a beautiful natural setting. In addition, they have retained their natural beauty, because they have not been much transformed, unlike some of the caves of the island. The Campanet caves are located on the southern slopes of the Puig de Sant Miquel, in the Serra de Tramuntana in the north of Mallorca. The caves are located 3 km from Campanet, a small town near Sa Pobla, between the towns of Inca and Alcúdia, in the County of Raiguer. 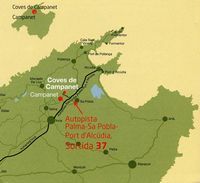 From the road Ma-13, which connects Palma to Alcúdia, caves are accessed by exiting at exit 37. Access to the site, 4 km away, is then clearly signposted. 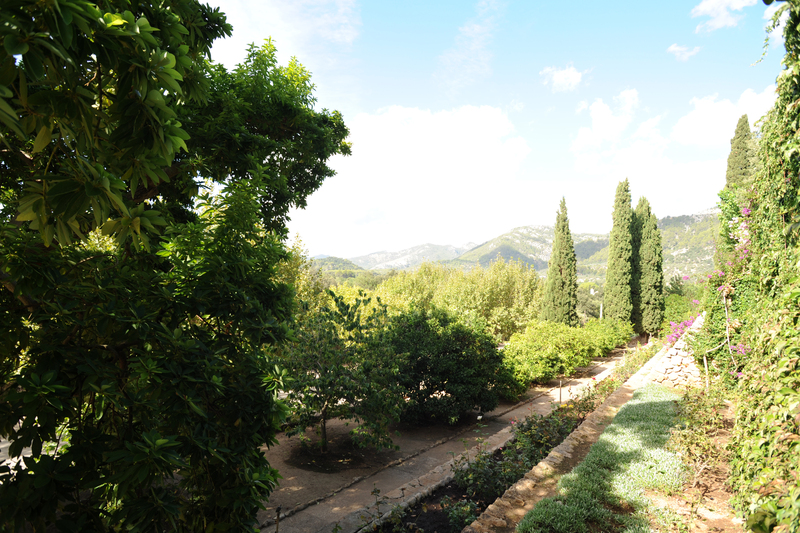 The caves are located on the slopes of the valley of Sant Miquel, a beautiful valley retaining the character and charm of the rural landscape of Mallorca, where there is also a karst resurgence Fonts Ufanes. The Campanet caves are less extensive than other caves of the island of Majorca, the Dragon Caves (Coves del Drach), the caves Harpoons (Coves dels Hams) in Porto Cristo in the east of the island, for example, but the beauty of the rooms, making it one of the most interesting caves in Majorca. Caves Campanet cover an area of approximately 3 200 m² and reaches a depth of 300 m, its volume is estimated at 16 000 m³, which are the most important caves in the Serra de Tramuntana. 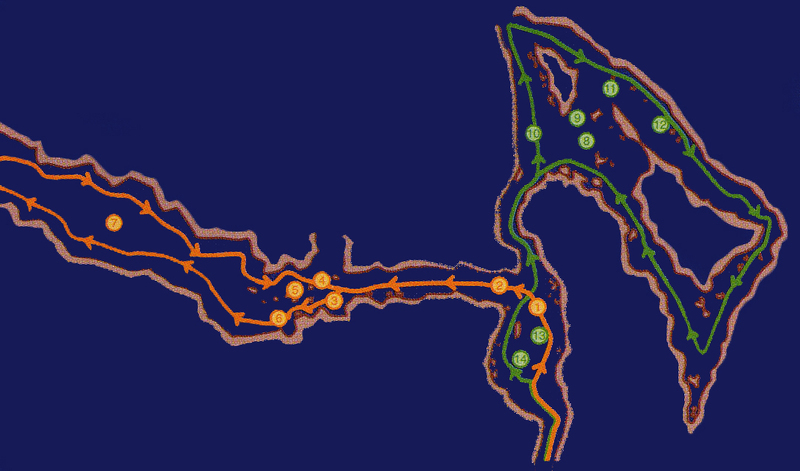 The tour travels 400 m inside the caves, at an average depth of 50 m, and lasts 40 minutes. This course is built for tourism and accessible to all. The average temperature is 20 °C. The tour through several galleries and rooms with evocative names: Palm Room (Sala de la Palmera / Sala de la Palmera), the Lake Room (Sala del llac / Sala del Lago), Cascade Sound (Cascada Sonora / Sonora Cascada) Elephant White (Elefant Blanc / Elefante Blanco), the Romantic Room (Sala Romàntica / Sala Romantica), the Chapel of the Virgin (Capella de la Verge / Capilla de la Virgen) Lovers (Els Enamorats / Los Enamorados) and the Enchanted Castle (Castell Encantat / Castillo Encantado) or Fairy Castle (Castell de les Fades / Castillo de las Hadas). The entrance is through a short artificial tunnel which is the location of the small natural port that allowed the discovery of the cave in 1945. 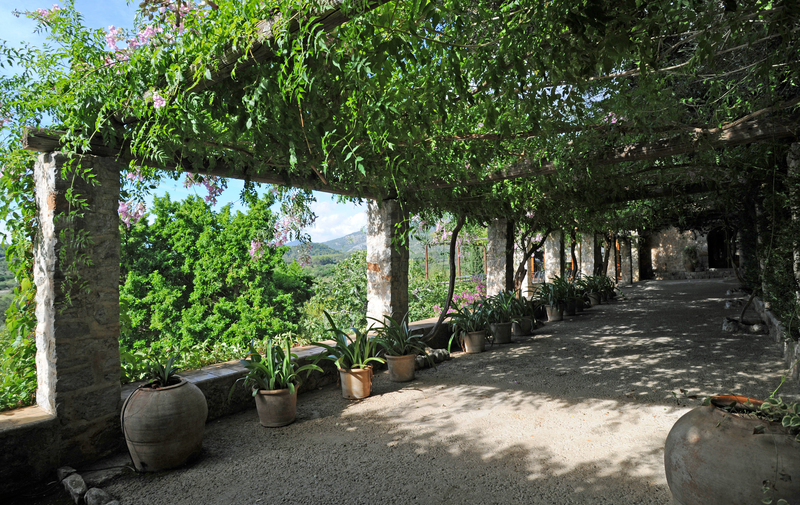 The access tunnel leads to the first room, the Palm Room, from where the main cave galleries (point 1). On the left, a very low and narrow gallery, facing north-west, leading to the Hall Lake (2, 3, 4, 5, 6 and 7), this room includes a pool formed by a dam concretions (a "gur"), which holds runoff. The lake with crystal clear water, surrounded by spectacular formations. The tour continues to the north-east by the Romantic Room, which is the most voluminous cavity of the Campanet caves, it is more than 50 m along its major axis, and reaches a maximum height of ten meters. The Romantic Room is decorated with stalactites and stalagmites, and divided by sets of thick columns. The tour went around the entire room Romantic (items 8, 9, 10, 11 and 12) then joined the vestibule. Finally returns to the Palm Room (paragraphs 13 and 14), where the tour ends. The Campanet caves are remarkable for the delicacy and exuberance of calcium deposits in the form of stalactites, stalagmites and columns (fusion of a stalactite and a stalagmite), which are formed over millions of years, and some rooms also have fistulous stalactites (stalactites shaped tube as macaroni, in which circulates water runoff) up to 3 meters in length (it would be the longest in Europe), some stalactites are broken following the switch blocks which they are attached. White is the predominant color of crystal formations in the caves of Campanet. However, color variations are observed and are due to the presence of various chemical elements in seepage: the red color indicates the presence of iron oxides, the brown color comes from impurities incorporated in the crystal structure, blackish tones are assigned to manganese. These natural colors are enhanced by subtle lighting, instead of colored lights other caves delivered to mass tourism. Similarly, the visit is accompanied by a more subtle background music that shows "sound and light" of the other caves. This highlights the exceptional acoustics of the caves of Campanet, where choirs of singers give performances every year, you can also hear the echo of his own footsteps. The people of Campanet knew of a small hole, no larger than 15 cm in diameter, which stood on the heights of Sant Miquel, on the field (possessió) of So na Pacs (or Son Apatx) in around the city. When someone approached the face of this hole, he felt a current of fresh air, strong and steady, and heard a rumble. In June 1945, the owner of the possessió, Guillem Torres i Cladera, made ​​search of water to irrigate the uplands. The manager of the farm, Bartomeu i Bennasser Palou, remembered the hole and thought the fresh air flow should be indicative of the existence of an underground river. Workers widened orifice to permit entry of an adult and drilling a well, a cavity, and discovered. It was the first time a man entered this natural cavity. Bartomeu Palou built a first access stairs. Then Antoni Salvà i Torres, the foreman of the financial Joan March Ordines, acquired caves and obtained permission to operate for tourism. The following year, the construction work for the tour of the cavity began and continued until 1948. November 10, 1948, the caves of Campanet were opened to the public. Rocks, in which Campanet Caves were dug, are dolomite (double carbonate of calcium and potassium) dating from the Late Triassic, a period of secondary era (Mesozoic), which extended from 250 million years BP to 200 million years BP. These rocks were intensely folded and fractured during 15 million years due to the collision between the continents of Europe and Africa. Digging caves by groundwater began around 4 or 5 million years BP, during the Mesolithic. This process was made possible by the nature of the limestone and water to acid rain, once it is loaded with carbon dioxide in the atmosphere and in the surface layer. The seepage water dissolves the rock on one side and the other creates crystalline deposits (stalactites, stalagmites, and so on) at a rate which varies according to climatic factors. The discovery of the Campanet Caves presented another interest to scientists in the discovery of cave-dwelling insects, including beetle Henrotius jordai and diplure Homojapyx espanoli, two endemic species on the island of Mallorca. The beetle Henrotius jordai [Reitter, 1914], synonymous Hypogeobium henroti [Jeannel, 1950], was described in 1914 but had not been seen since. Some individuals were captured in the caves of Campanet in 1946. 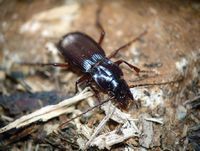 It is a water beetle, carnivore and blind, 10 to 12 mm in length, which lives in underground pools of water formed by the gour (dams concretions). 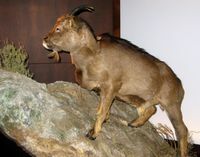 During the development work of the Caves of Campanet, another discovery was that large deposits of fossils of a small ox, the balearicus Myotragus. The Myotragus balearicus [Bate, 1909] was a goat endemic of the Balearic Islands (Mallorca and Menorca), but disappeared from the Islands since 4000, with the arrival of the men who hunted for food. The Myotragus balearicus, now extinct, was the most advanced species of a genus, Myotragus, small cattle, who lived in the Balearic Islands for more than five million years, and their ancestors had been isolated from the mainland by the drying the Mediterranean basin. 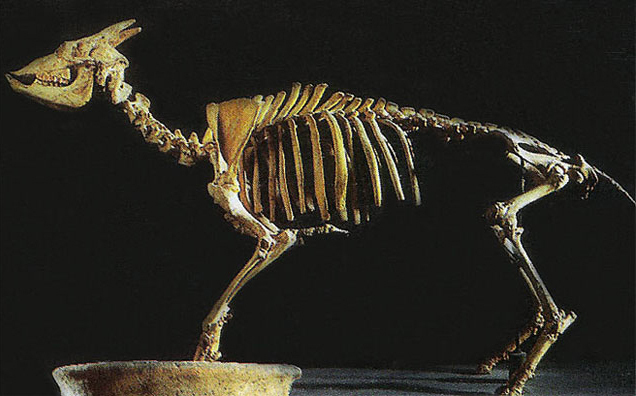 The balearicus Myotragus was a bovine caprine about 50 cm tall at the withers and weighing 12 to 15 kg, with eyes directed forward, not sideways like almost all herbivorous mammals, giving it a stereoscopic vision. Address: Highway Palma - Sa Pobla - Port d’Alcúdia - Exit number 37 to 39 km. 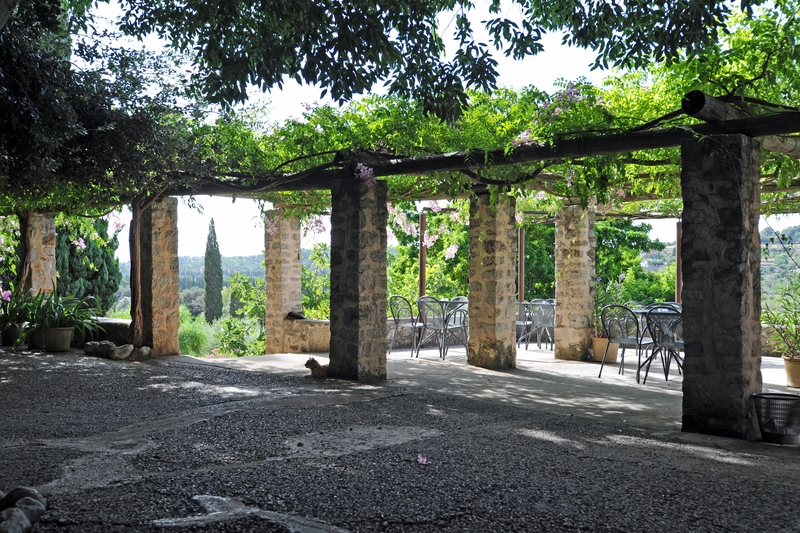 Coffee - with a large terrace - used to wait an hour for the next tour taking refreshment while enjoying the magnificent view of the valley of Sant Miquel.